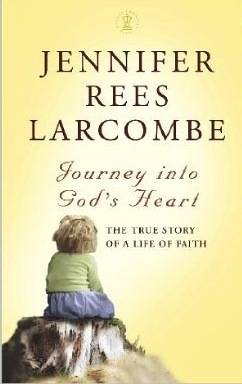 This book talks about testimony, christian faith, adversity. Even Jennifer herself has, in the light of severe recent tragedies, found herself gaining a new understanding of all she has been through. This book looks back at the traumas and insecurities of her childhood, the joys and trials of family life through the most testing of circumstances, the confusion caused by her life-threatening illness and subsequent miracle healing, the pain of bereavement and - the most recent chapter that no-one foresaw - divorce from her husband Tony. Journey Into God's Heart is an epic saga of a unique woman's journey through the fire. An adventure that lasts a lifetime, a path strewn with heart-testing challenges. Written as compellingly as a novel, it presents a completely new perspective on the story told in Jennifer's previous autobiographical books Beyond Healing and Unexpected Healing. Her journey unfolds against the backdrop of the momentous changes undergone by the evangelical and charismatic church in the mid and late twentieth century.